Kathia reading from The Gloomy Light by the teen authors of Reach Incorporated. One of the many delights was seeing our new authors meeting, so to speak, our already published authors from Reach Inc and Ballou High School: the girls loved reading the high-flying adventures from Reach and the bravely vulnerable essays from Ballou. Dreonna at Ballou High School posing with am image of her next alma mater! We are so proud of Dreonna Richardson, one of the essayists in How To Grow Up Like Me, who was featured in WAMU 88.5's series Beating the Odds, in which education reporter Kavitha Cardoza profiles students in the Washington, D.C. area who have overcome struggles and found ways to thrive academically and socially. In June 2014, Shout Mouse Press will travel to Haiti to partner with the Restavek Freedom Foundation. 'Restavek' is a form of modern-day slavery that persists in Haiti, affecting one in every 15 children. Restavek Freedom's mission is to end child slavery in Haiti in our lifetime through child advocay, education, and community mobiization. It's been a while since I was moved to tears at a reading, but on Thursday, May 29, 2014, three Ballou Story Project authors brought me there. These three writers--M.H. Jordan, Christopher Allen, and Gerald McBrayer--were being celebrated at the awards ceremony for the Global Harmony Through Personal Excellence essay competition, a citywide contest for DCPS students that called for essays about daily acts of courage. Shout Mouse Press was thrilled to be a community partner for this year's Gaithersburg Book Festival. 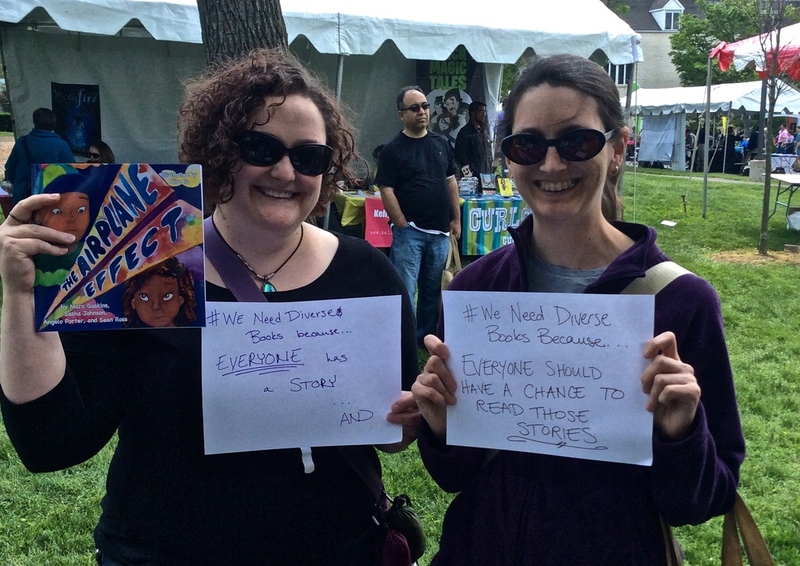 The Reach, Inc. teen authors who inspired the founding of SMP manned our booth, sold and signed books, gave a public reading, and met with fellow believers in the #WeNeedDiverseBooks campaign. Check out the photo gallery. We’re so proud of our authors and can’t wait to read their next books, coming Fall 2014!